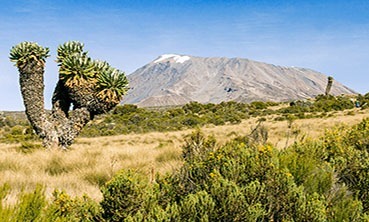 Snow-capped and visible for miles, Mount Kilimanjaro is an awe-inspiring sight and at 5,895 meters or 19,341 feet high it is the jewel in Tanzania’s crown. 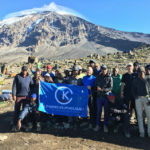 Challenging, rewarding and exhilarating in equal measure, reaching Africa’s highest peak – also the tallest free-standing mountain in the world – Climbing Kilimanjaro is a once-in-a-lifetime experience, trekking through valleys and forested slopes, then onto rocky terrain and steep ascents, the views intensifying the higher you climb! The best adventure travel experiences happen when you have the best experts and guides. With decades of experience in the field, Our guides offer exceptional leadership and expert destination knowledge. 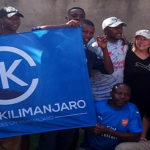 Our sales team, expert guides and trip leaders are highly accomplished professionals, who know Mount Kilimanjaro like the back of their hands and are the key to the success of every one of our trips. We are all locals who live in-country year-round. 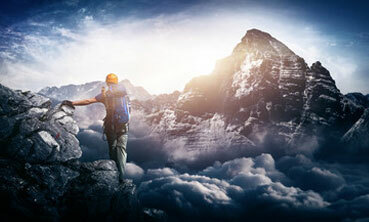 You are in the right place and in the right hands of experts, We will be with you all the step of the way from providing you with all the most upto date necessary information to prepare you for the climb from what to pack, to what you will eat to every condition of your climb and what to expect. Lastly we will drop you at the airport after a successful and happy ending of your dream come true climbing Kilimanjaro expedition. 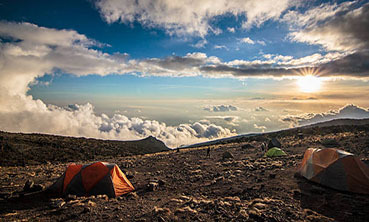 WHY CLIMB KILIMANJARO WITH US? OUR GUIDES ARE HIGHLY EXPERIENCED, MEDICALLY TRAINED, AND COMMITTED TO YOUR SAFETY. 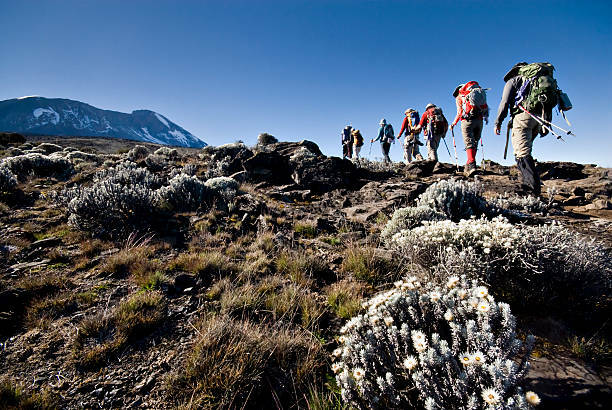 CLIMBING KILIMANJARO® has the best guides on the mountain, period. 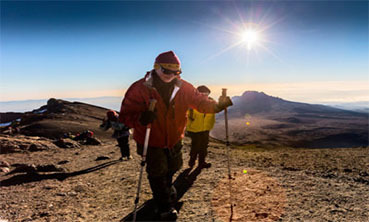 Each of our guides climbs Mount Kilimanjaro approximately 20 times per year and has handled more than one thousand clients in his lifetime. Our guides are licensed by the national park, are certified Wilderness First Responders and receive ongoing advanced high altitude medical training. In short, they know how to lead clients to the top – safely and professionally. By having our experts on your side, we maximize your chance of a safe, successful and enjoyable experience. We spend a great deal of attention in finding the right staff. 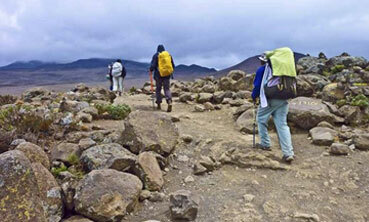 Our Kilimanjaro tours packages provide ample time to rest and acclimate prior to the Kilimanjaro climb. From years of experience, we have found that this strategy works best and has increased our clients' summit success rate dramatically. 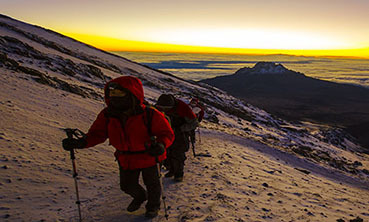 Climbing Kilimanjaro is a demanding, challenging feat. Nearly a third of all climbers fail to reach the summit. Why? To succeed on the mountain, it is imperative that climbers are guided by an experienced outfitter, with proven competence, reliability and safety. Your guide service is the single most important factor in determining the success of your climb. We will be with you every step of the way on this once in a lifetime experience! We are excited to plan what you have envisioned for this vacation.